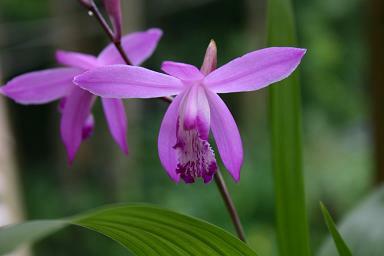 I have tried some of the "Penway" hybid Bletilla, but they have been, in a word, pathetic. The old Bletilla striata on the other hand is a splendid plant, though it is a little too close to being tender to ever take it for granted. I have always grown it in a frost free greenhouse, but I am going to try it outside one of these days. 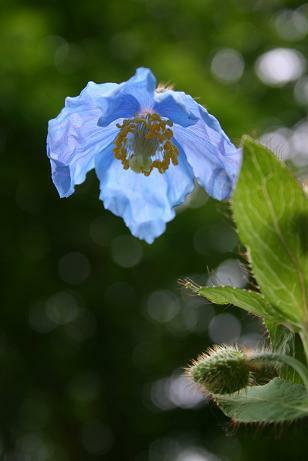 This is probably the best known of the blue poppies. When I have tried it in the ground the wind has dessicated the leaves. I keep it ina pot where I can keep the slugs at bay and it is the most wonderful thing to suddenly find in flower during June. It doesn't last long which makes it seem allk the more precious. Any minute the wind will tear off the petals and that will be it for another year. I was trying to get a photo of Jeffersonia diphylla this year. At 9.00am the buds were not open, at 9.20 the petals were scattered on ther floor. ******! 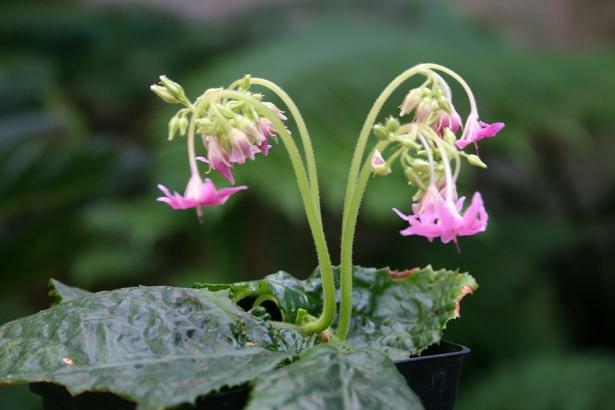 Conandron ramondoides Pink Form . I had problems overwintering Conandron until Robin White at Blackthorn Nursery told me to keep it dry dry dry in winter. It works! The usual purple flowered form (which I no longer grow) is the colour of a sexually frustrated virgin starfish at a starfish brothel. All angry and embarrassed and with something rather awkwardly naked about it. The pink form is an enormous improvement. It is a good strong colour with a pink that has nothing virginal about it.